The US’ decision to withdraw from the 2015 Iran nuclear deal raises concerns around its long-term commitment to any agreement reached with the North. 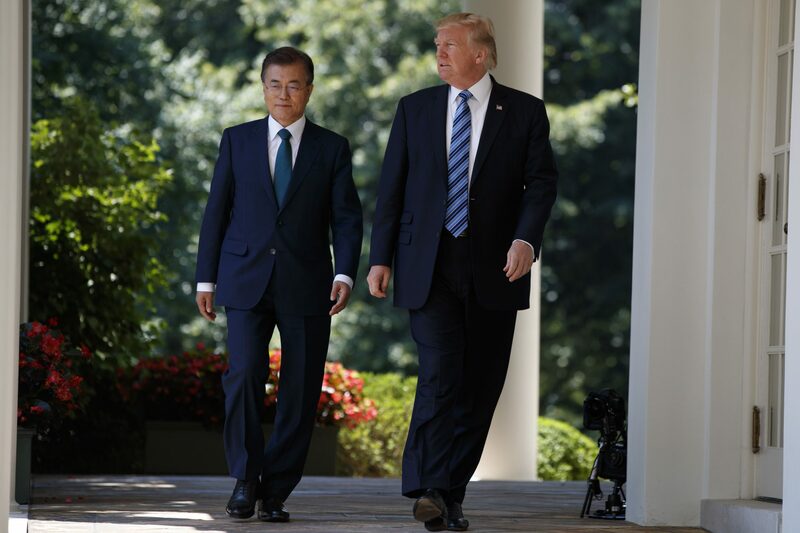 US President Donald Trump will host his South Korean counterpart President Moon Jae-in at the White House ahead of next month’s historic summit in Singapore between Trump and North Korean leader Kim Jong-un. With South Korea keen to work towards implementation of the Panmunjom Declaration reached with North Korea, President Moon will seek to clarify the Trump administration’s planned negotiating position. The US’ decision to withdraw from the 2015 Iran nuclear deal raises concerns around its long-term commitment to any agreement reached with the North. Seoul will no doubt be eager to see what Trump is prepared to offer North Korea in exchange for serious nuclear concessions. North Korean preconditions would include the guaranteed security of Kim and his regime, as well as retention of the international legal right to a peaceful nuclear program for energy purposes. Trump will be likely to agree to such concessions to avoid comparisons to Libya’s experience in giving up its nuclear program. 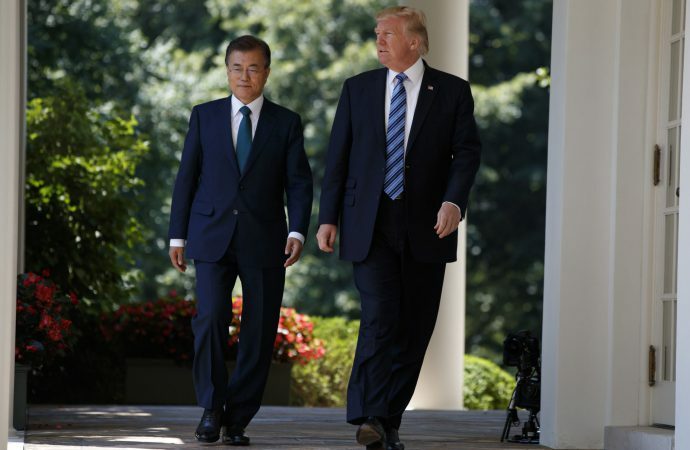 Given Trump may be pressured to concede on North Korea’s right to a peaceful nuclear program, both the US and South Korea are expected to work closely on a joint negotiation strategy to avoid miscommunications ahead of the summit.